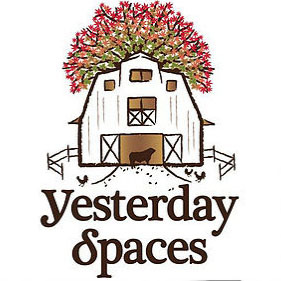 Yesterdays Spaces is a 70 acre working family farm in Leicester N.C and conveniently located just minutes from downtown Asheville N.C. The farm is deeply rooted in history and we feel blessed to be able to preserve another important piece of productive farmland here in Western North Carolina. They farm using sustainable agricultural practices that maintain a reverence for the land. The farm has a number of buildings and spaces that they call Yesterday Spaces. These spaces include a Main Event Barn with its heated and cooled rustic Loft space, a renovated 100 year old Dairy Barn, a picturesque Ceremony Site with its magical Wedding Path, an Event Field with a fire pit, surrounding pastures with their resident animals, and wonderful views of the mountains. Yesterday’s Spaces offers lodging on the farm for up to 13 guests in their fully restored and period furnished 1911 Farmhouse.